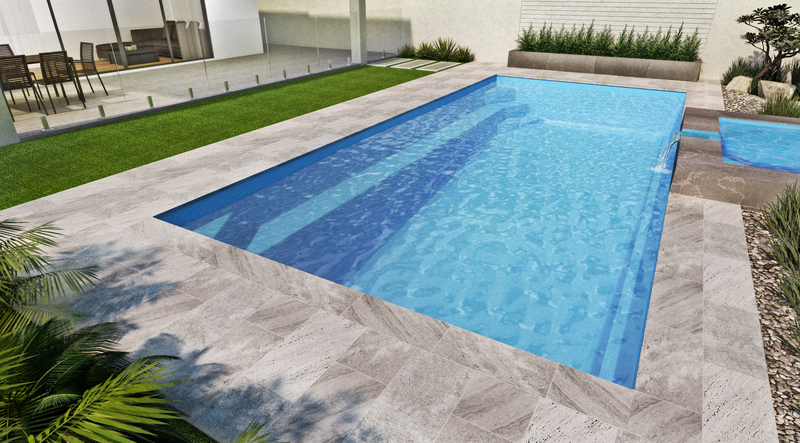 The clean lines of the Pacific Range brings style to the modern home. 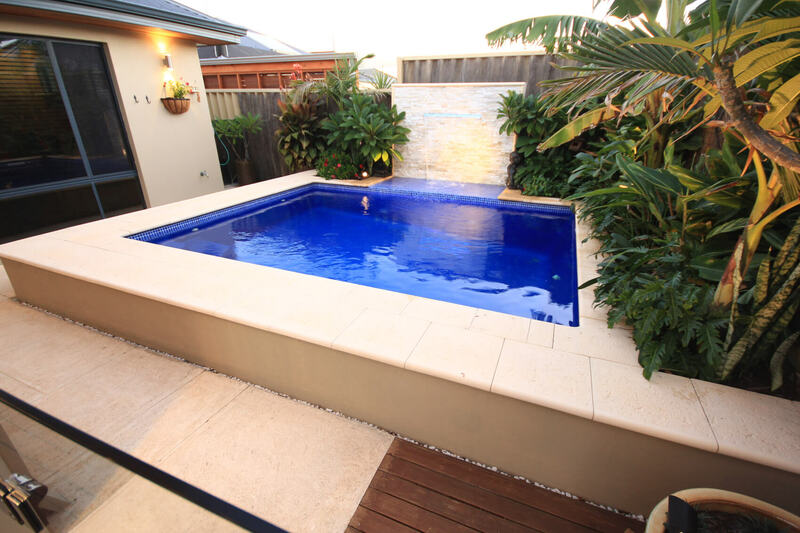 The long bench seat is a perfect place to sit while watching the kids play and swim out and safety ledges, provide a place for the kids to rest. 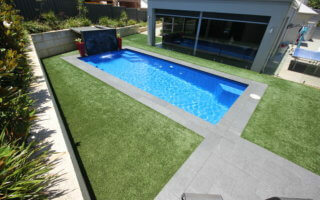 The seating was designed with functionality in mind, with ledges not encroaching within the swimming area. 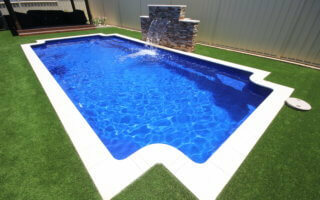 The smaller sizes will be perfect for smaller back yards. 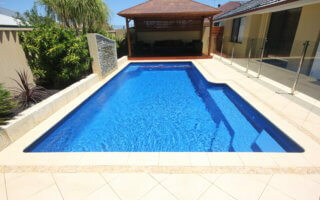 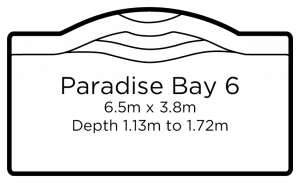 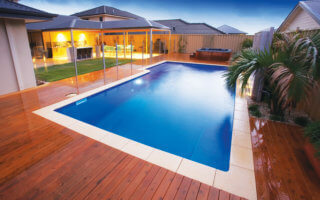 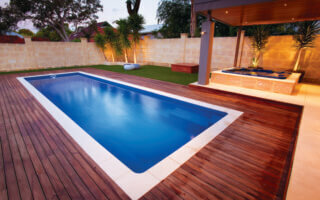 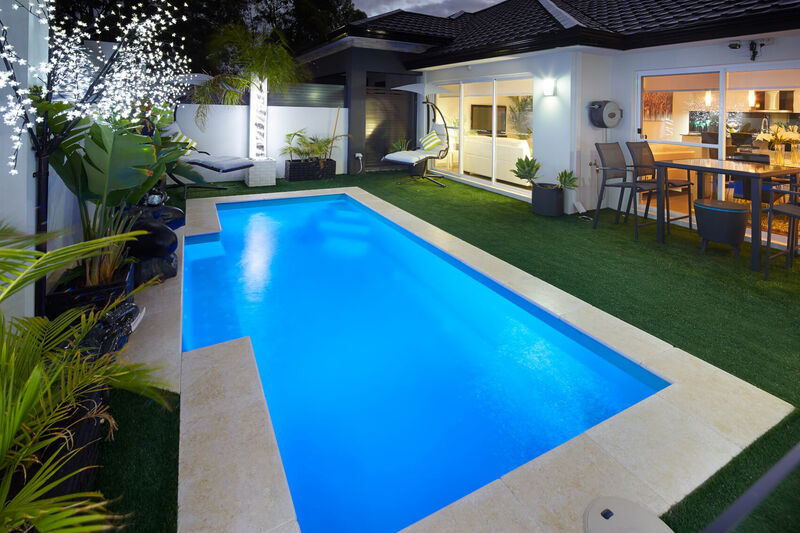 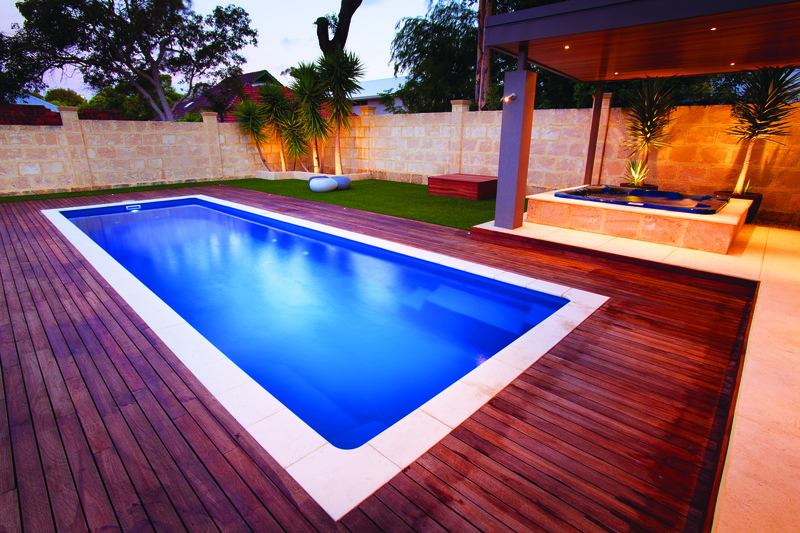 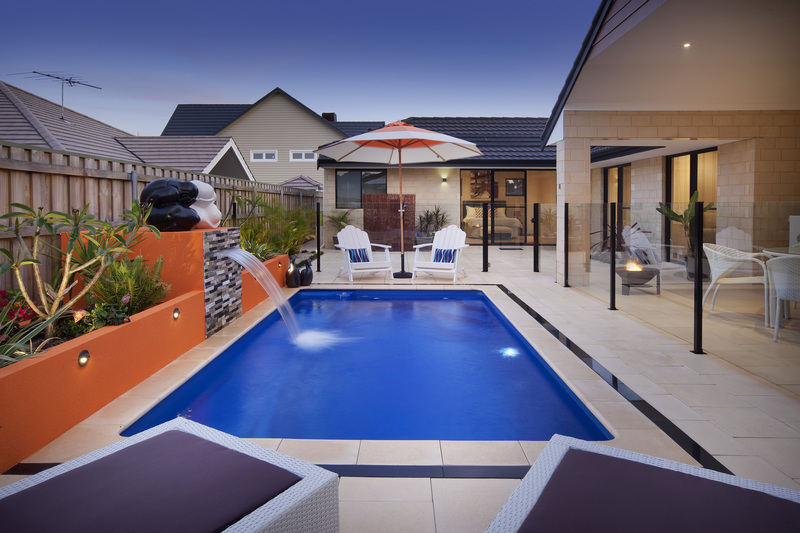 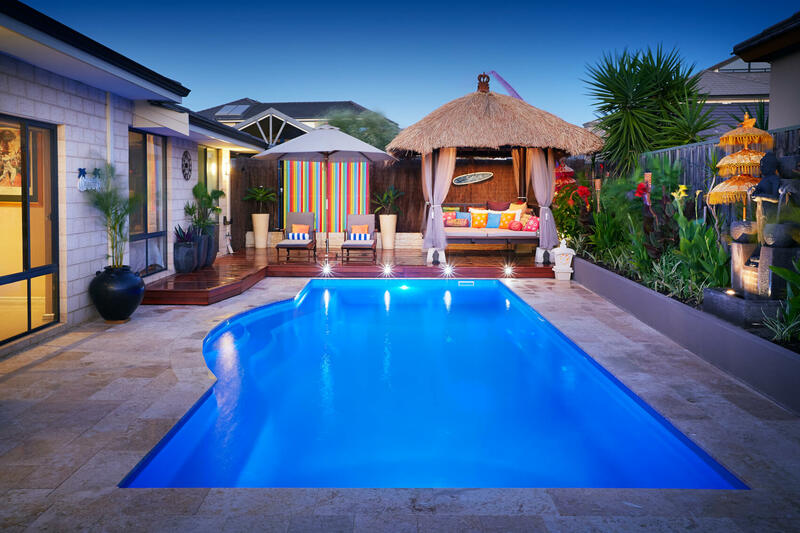 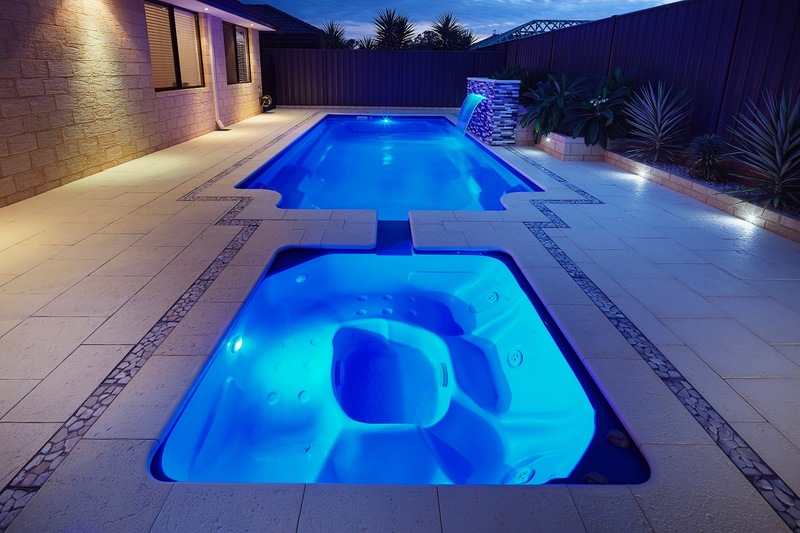 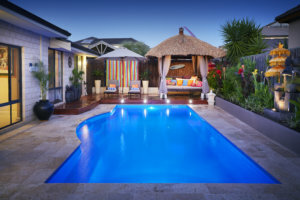 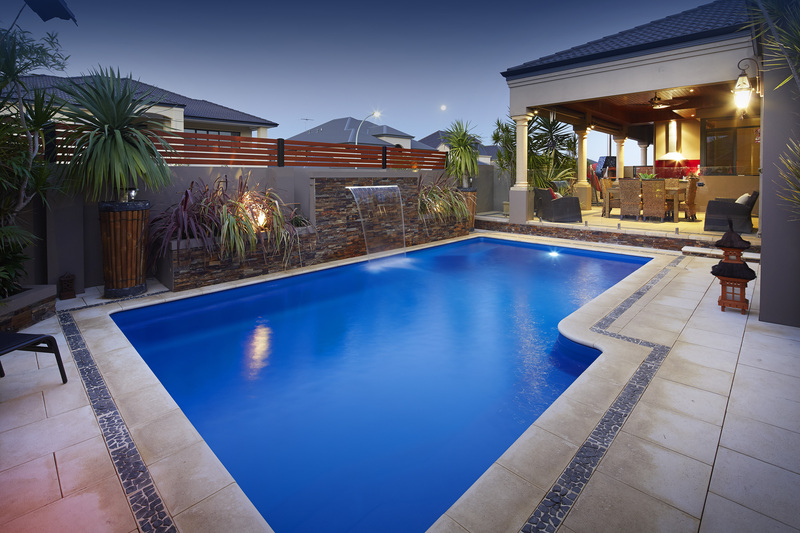 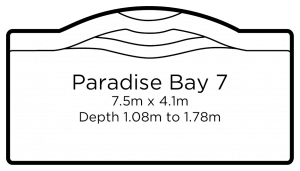 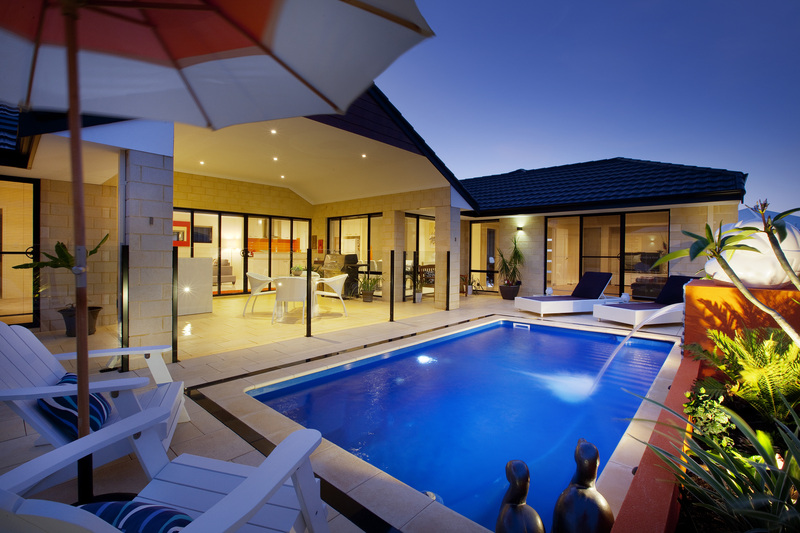 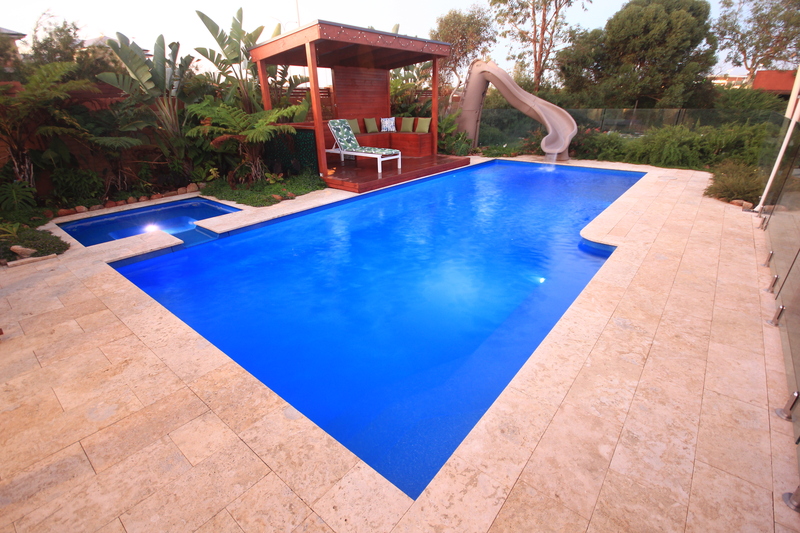 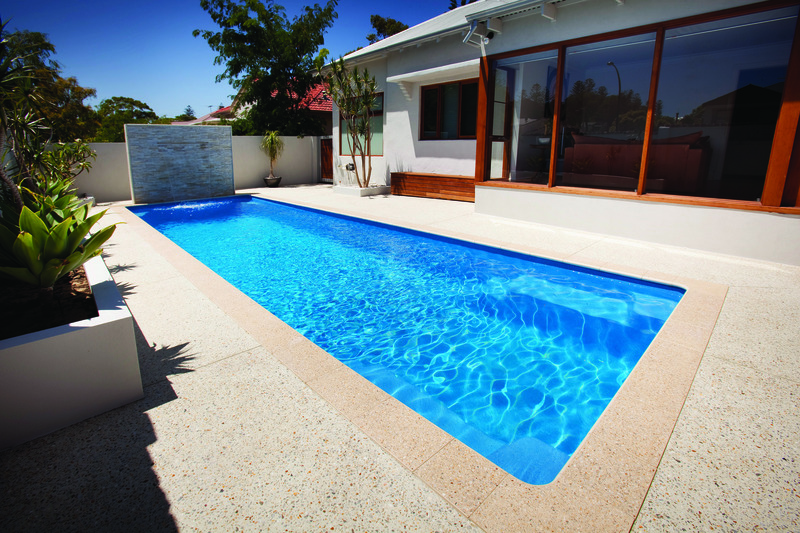 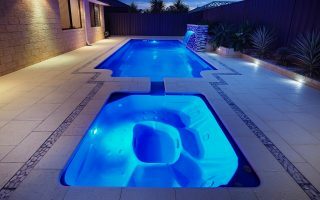 Our exquisite Paradise Bay Range of pools feature elegant curves, bringing style to the modern home. 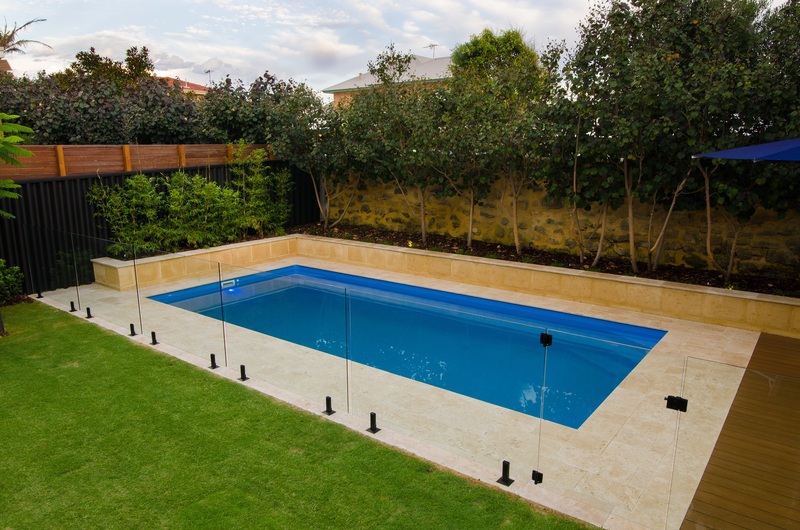 The long curved bench seat is the perfect place to sit while watching the kids play. 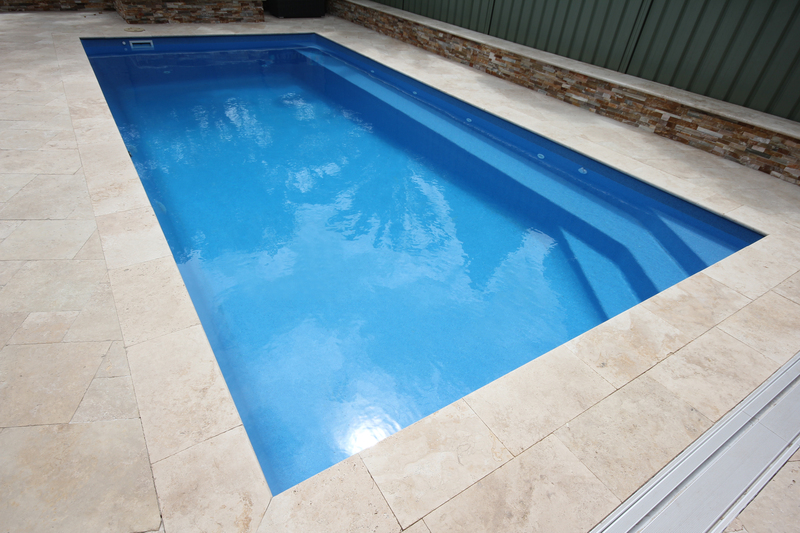 This ledge runs the entire length of the pool and arches at the centre to create an attractive entry step area. 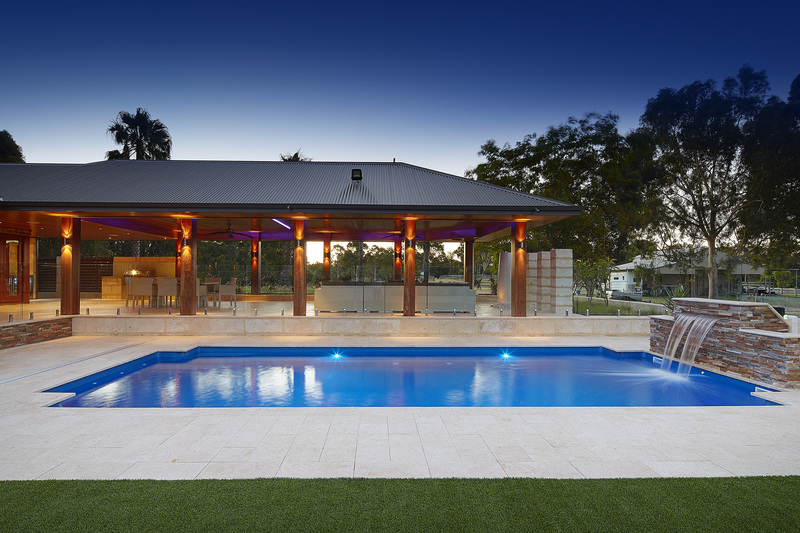 With the beach entry feel, along with our stunning range of colours, your dream oasis can become a reality. 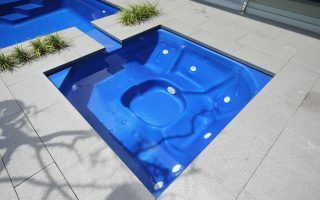 This range is also available with optional spa jets for a soothing hydrotherapy massage to leave you, your family and guests thoroughly relaxed. 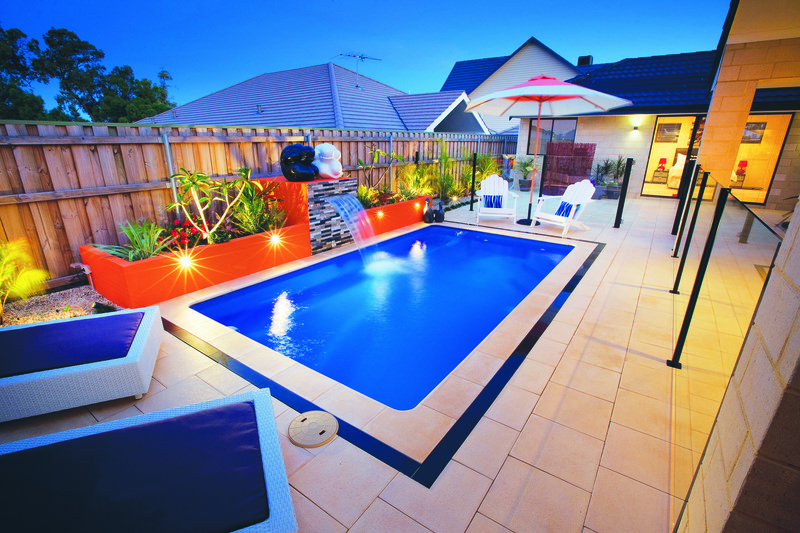 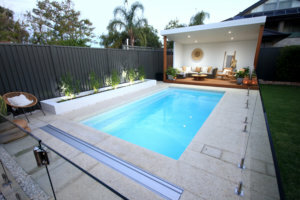 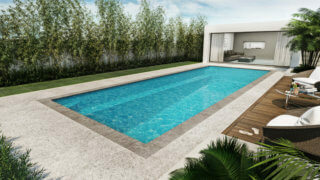 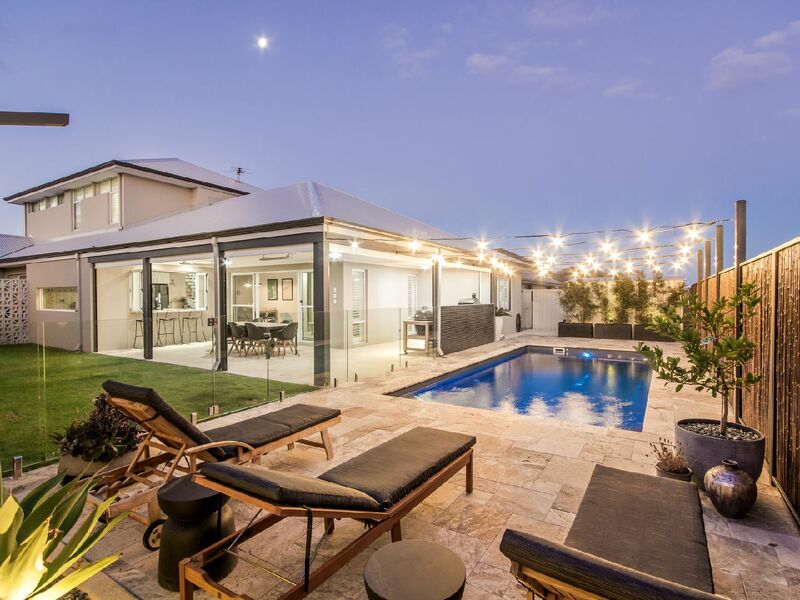 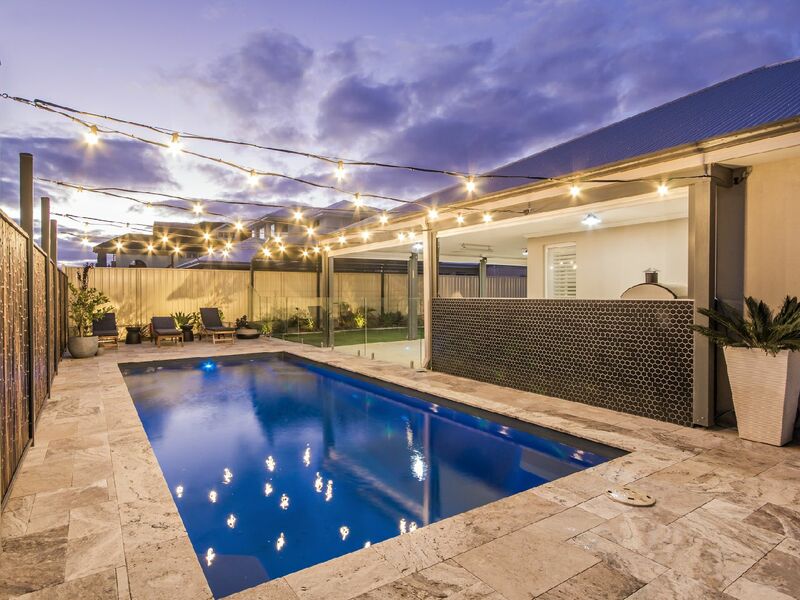 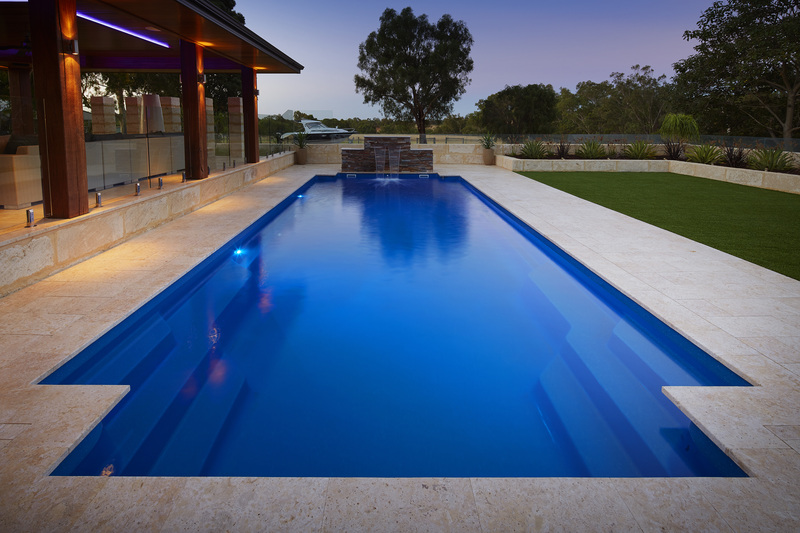 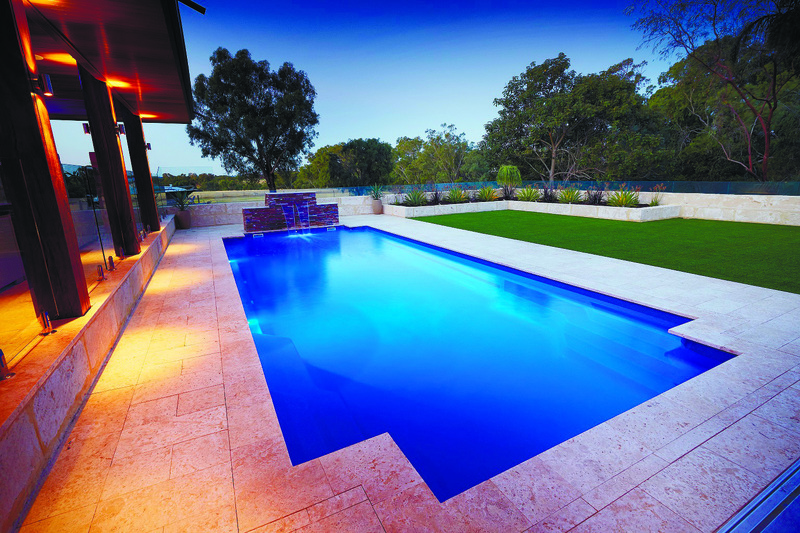 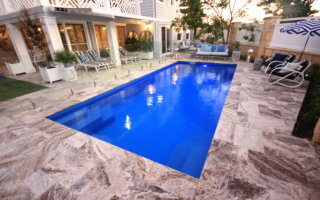 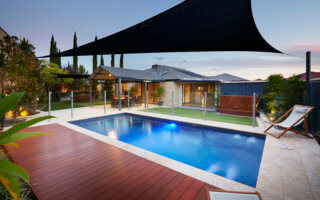 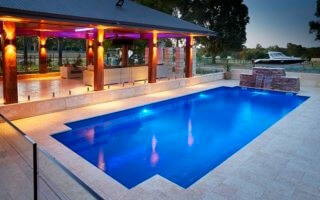 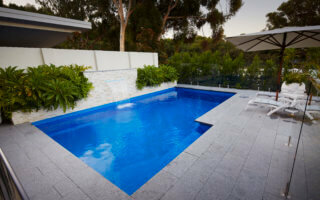 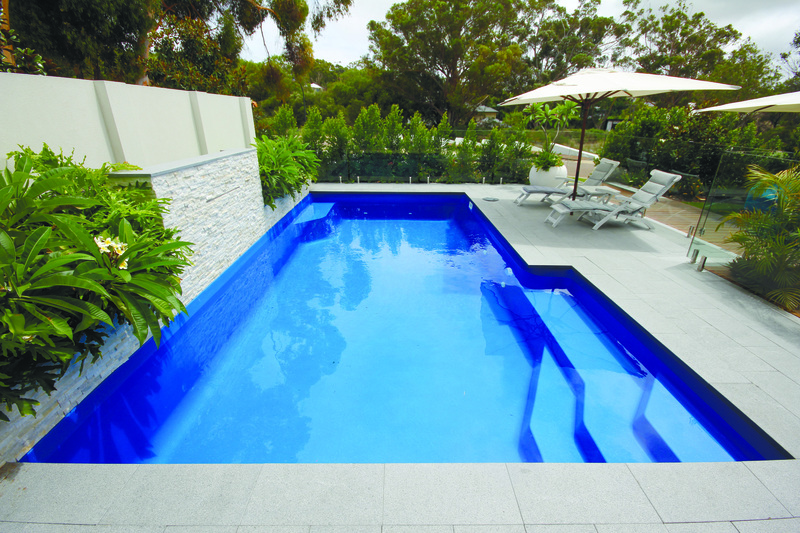 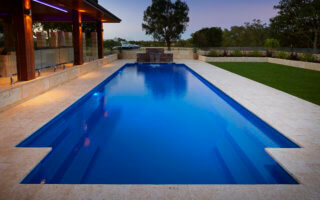 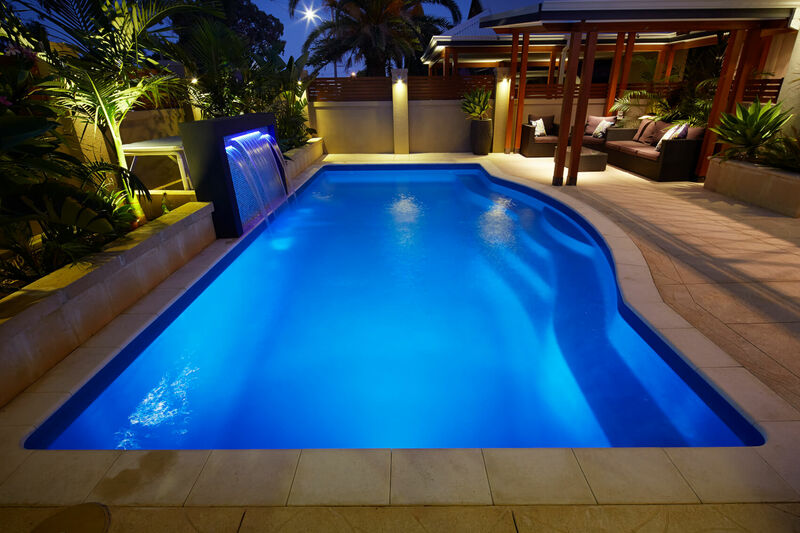 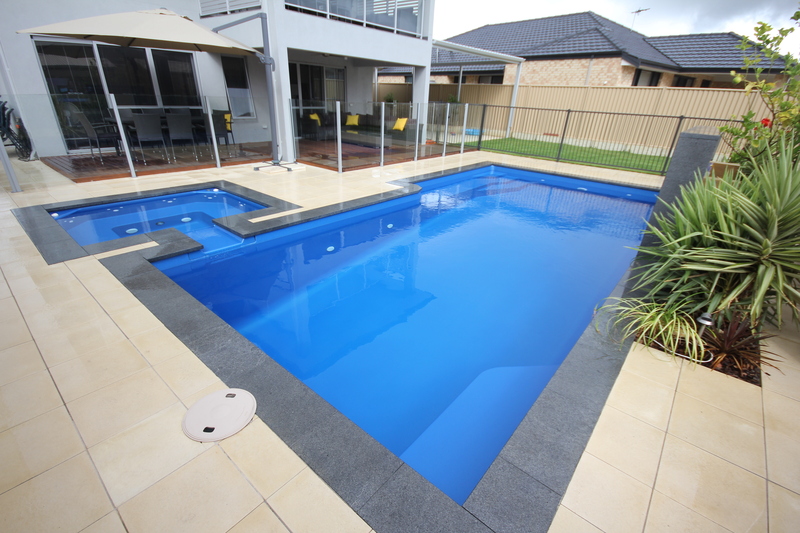 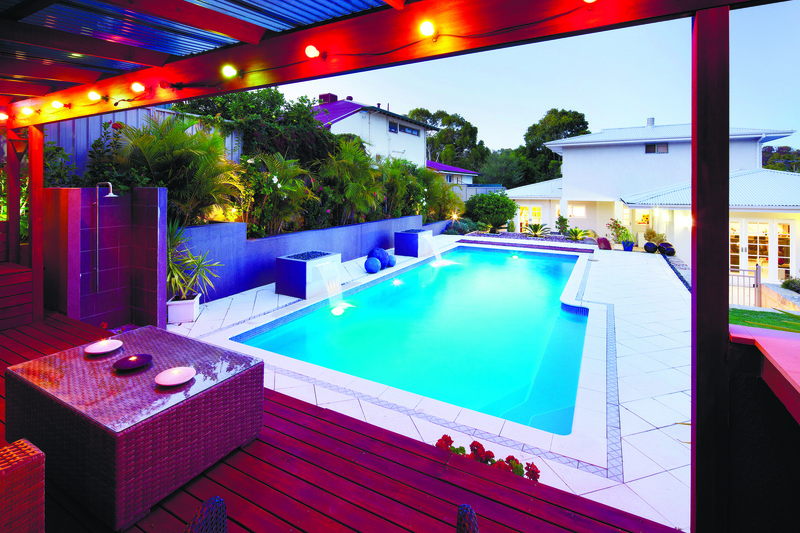 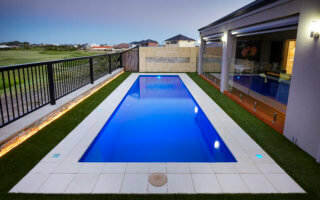 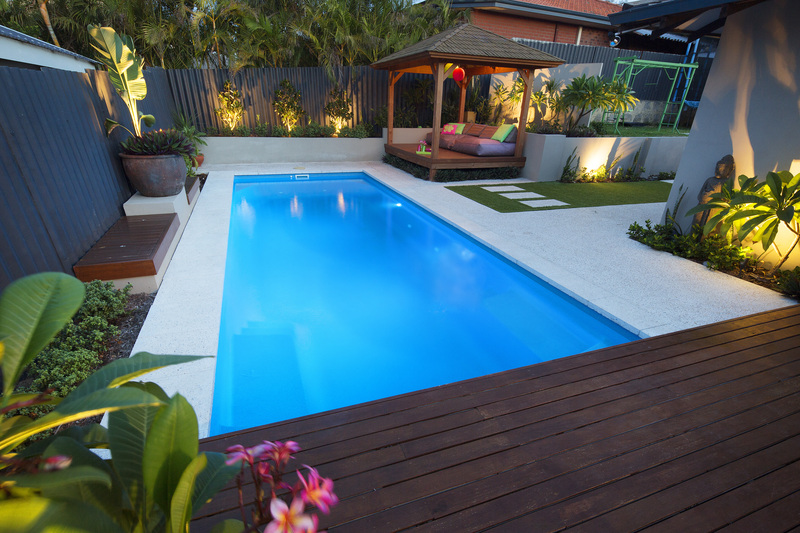 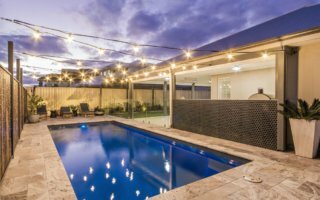 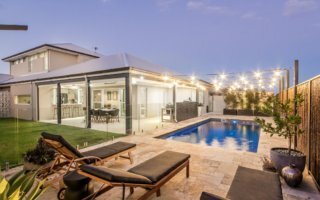 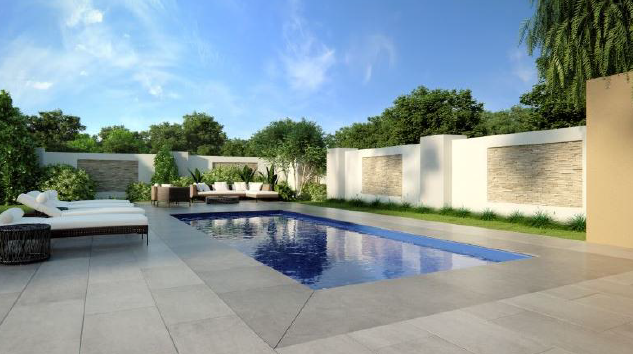 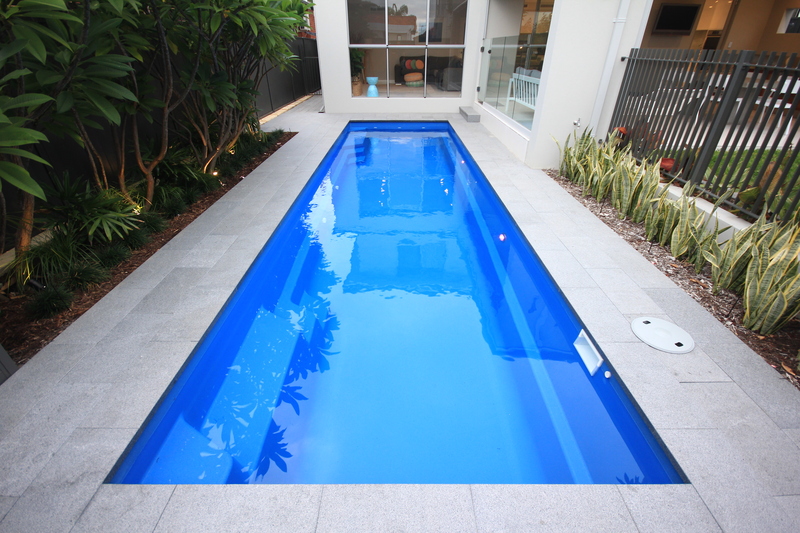 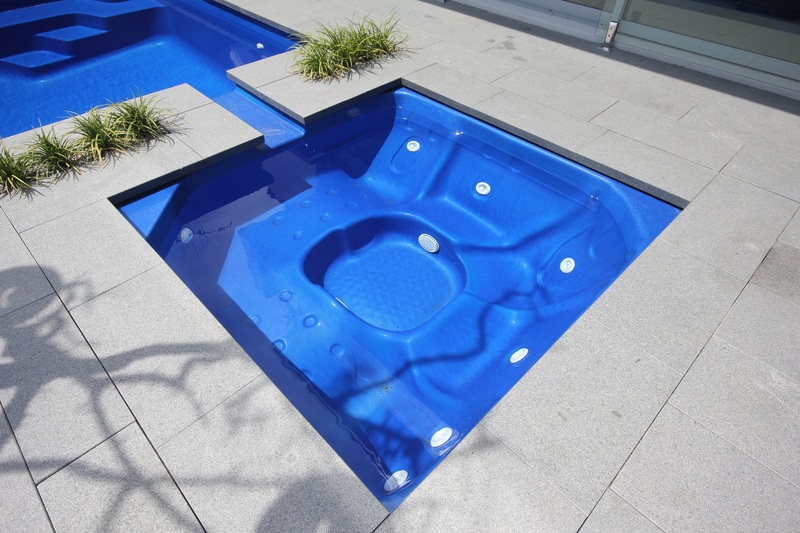 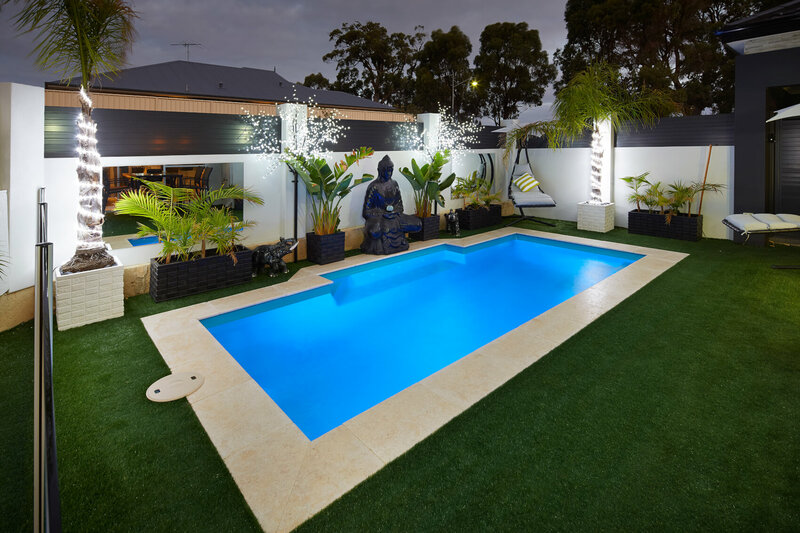 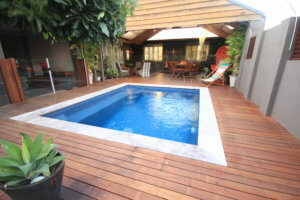 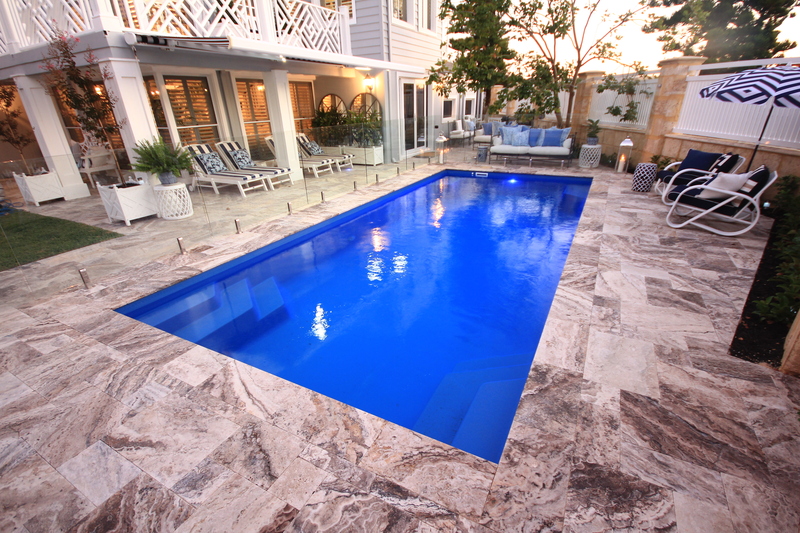 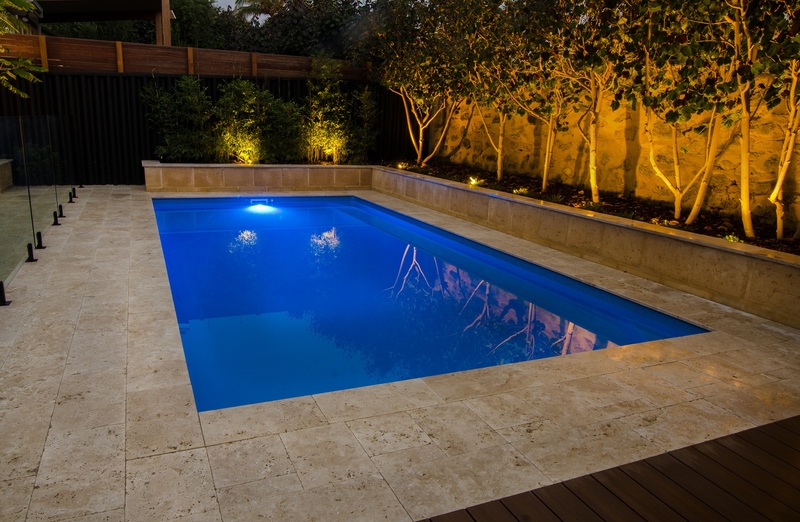 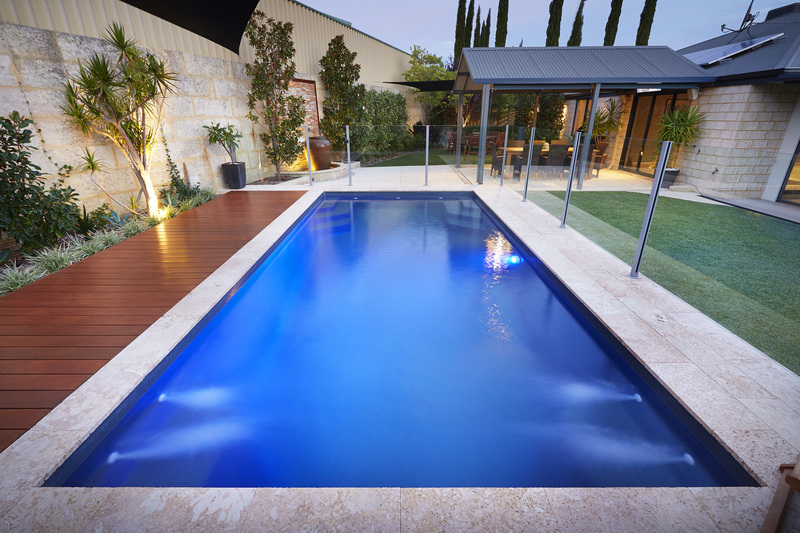 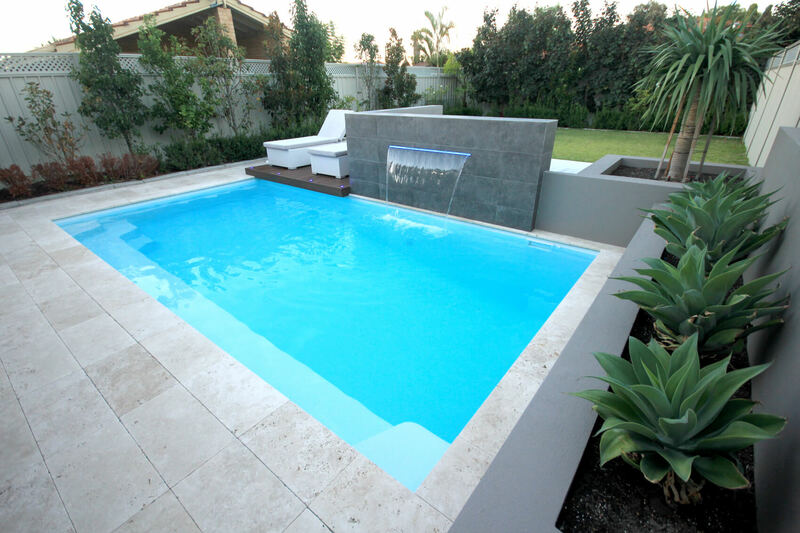 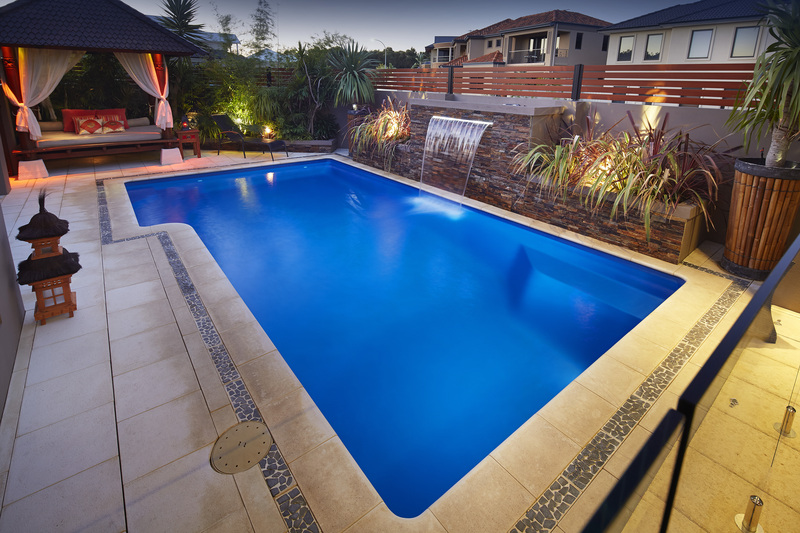 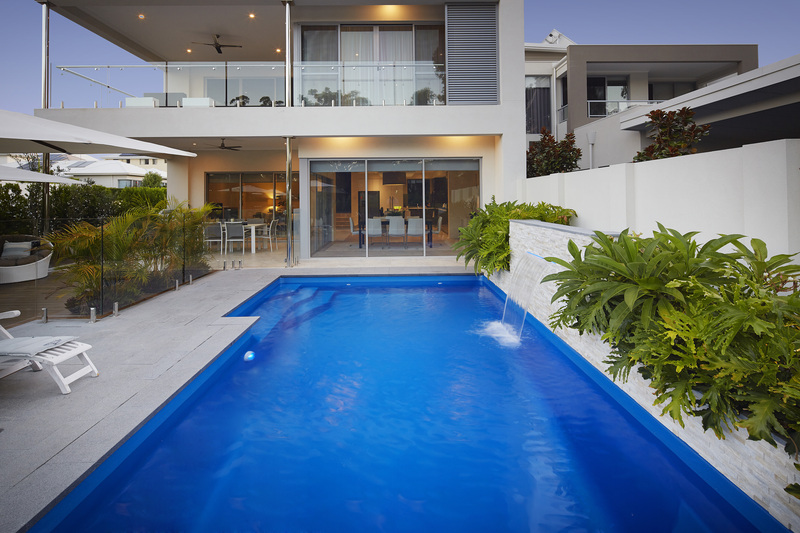 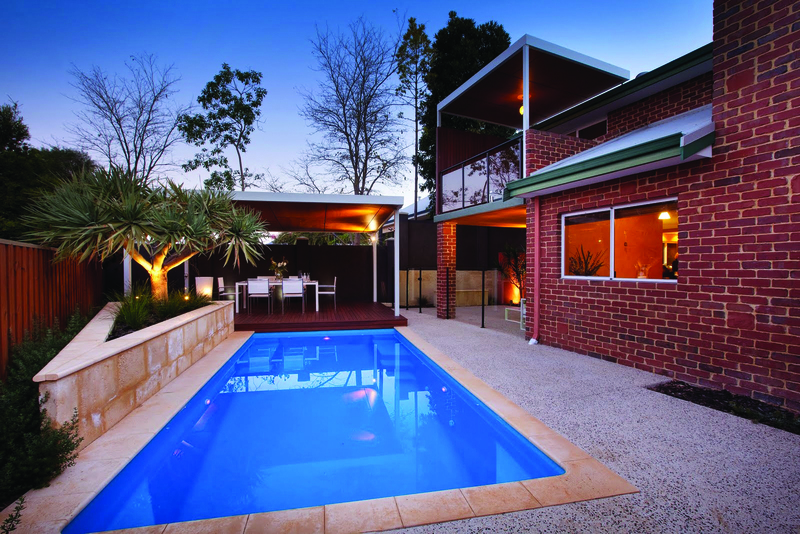 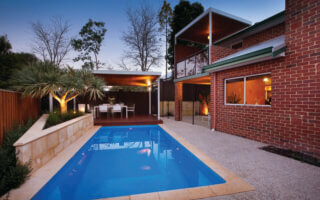 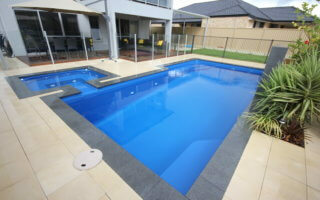 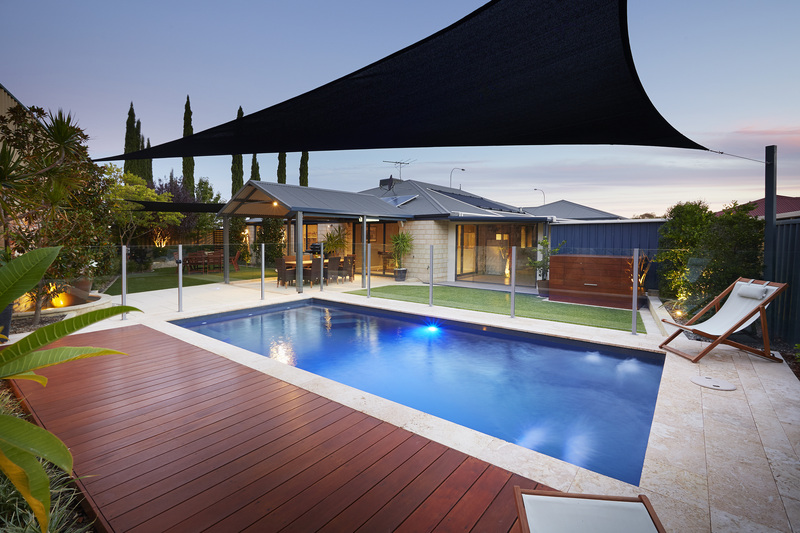 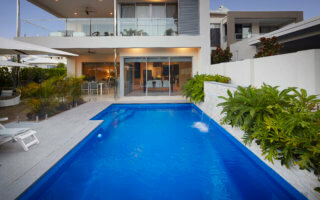 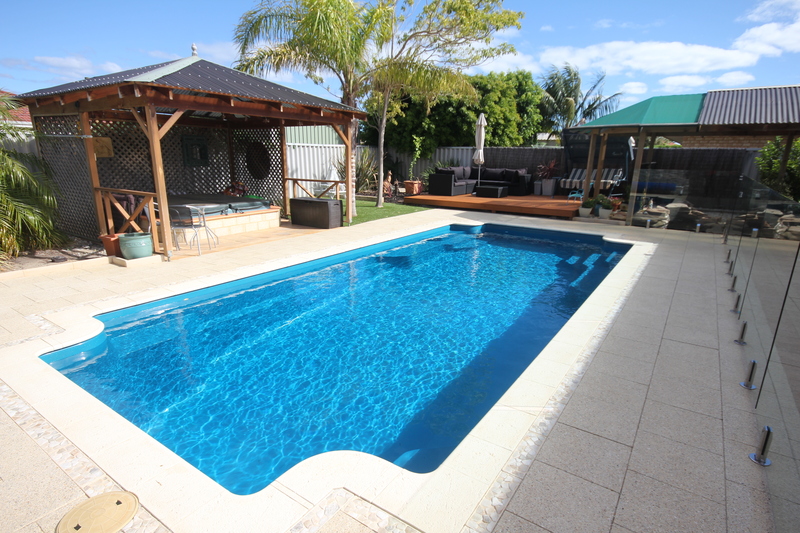 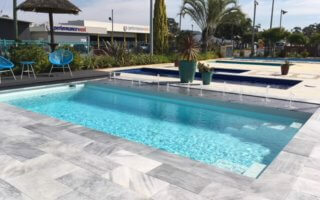 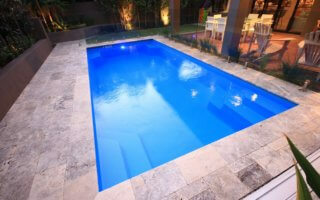 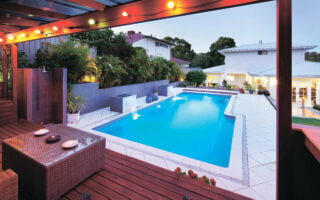 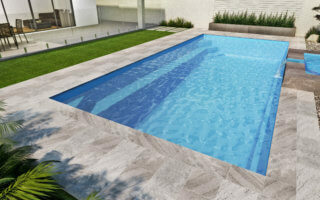 Our clean contemporary style pools within our Oceanic Range will be the centrepiece of your new entertaining area. 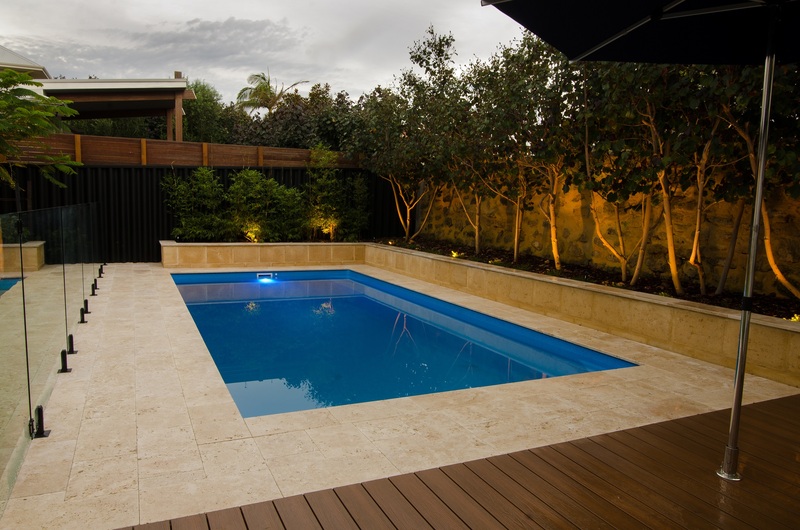 These models are perfect for smaller backyards or courtyard areas with limited space. 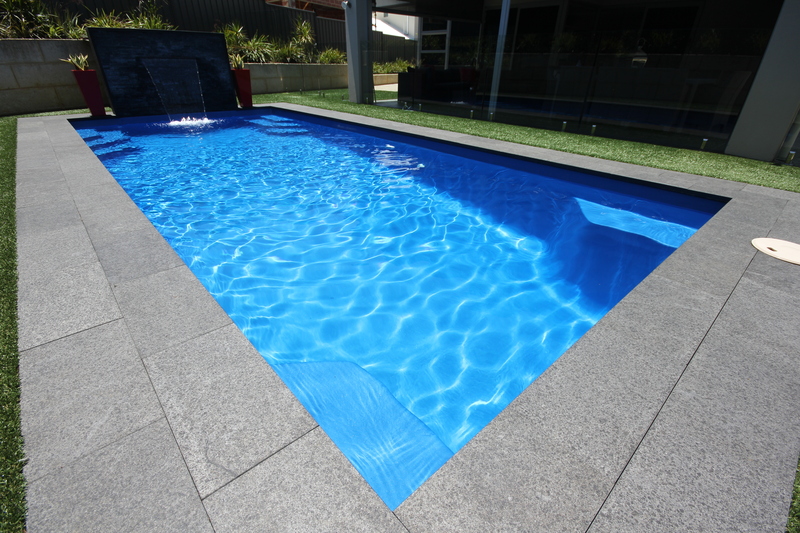 Styled on a popular concrete design, unobtrusive corner entry steps maximise the swimming area, while the extended bench seat on one side provides the perfect spot to sit and relax. 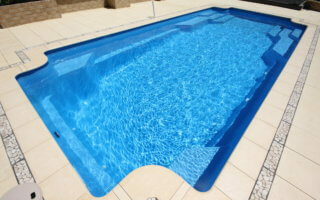 The added safety features provide peace of mind for children learning to swim. 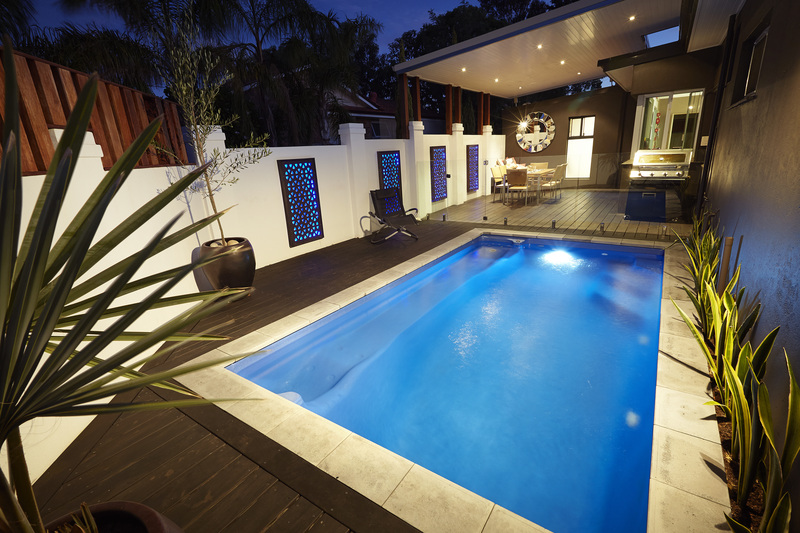 Add a water feature, spillway spa or feature lighting to create a relaxing oasis or stunning backyard feature. 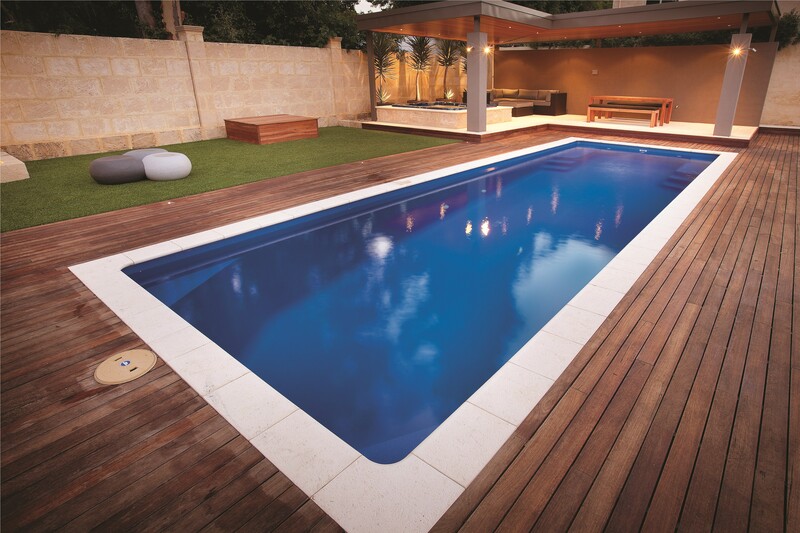 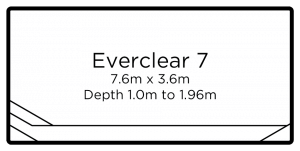 One of the most contemporary designs in our range, the Everclear series boasts stylish geometric lines perfect for any style of outdoor area. 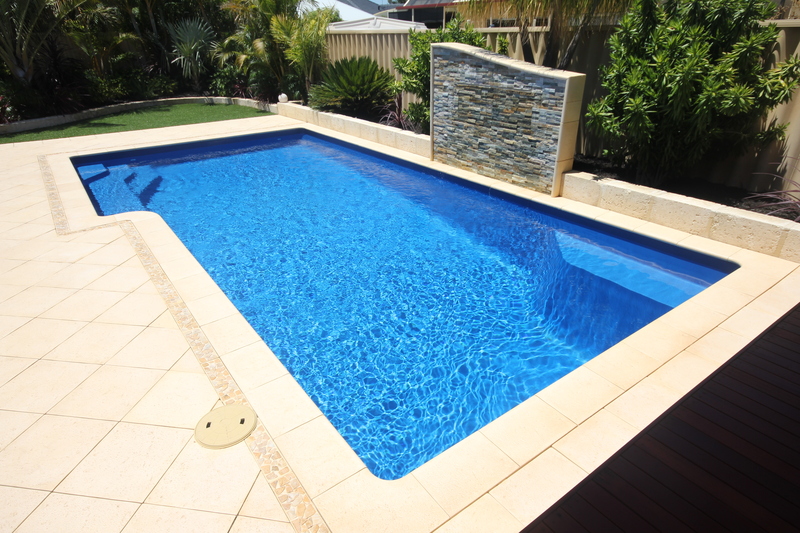 With unobtrusive side entry steps and a generous swimming area, these pools can be enjoyed by the whole family for both fun and relaxation. 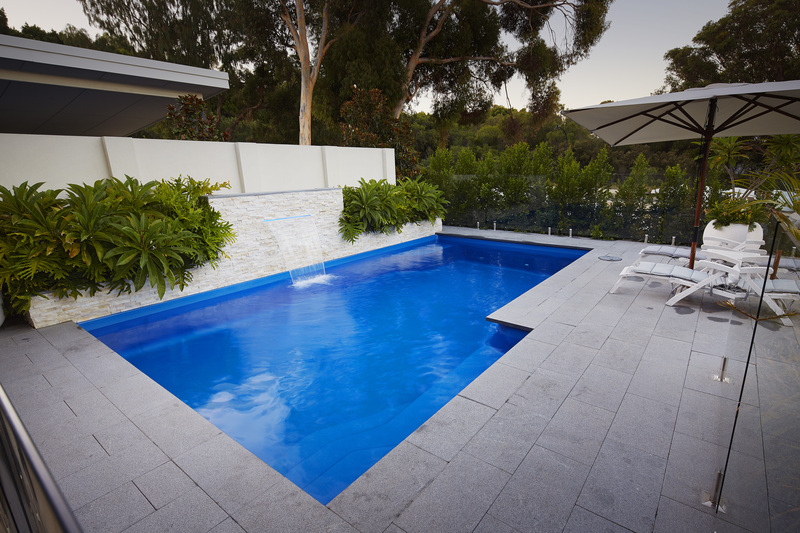 An extended seating ledge running the length of one side is the perfect chill out zone. 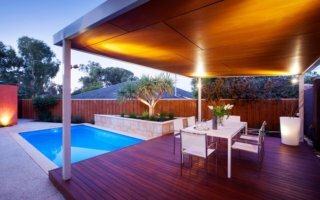 The attractive, modern design will complement your outdoor area for many years to come. 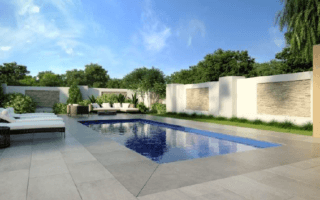 Bring sophisticated European style to your outdoor area with these contemporary designs, boasting sleek geometric lines without compromising on features. 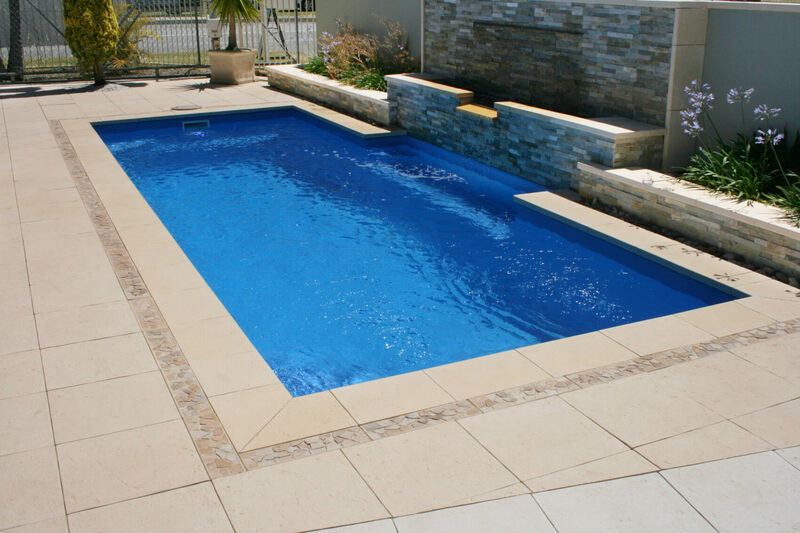 With easy access either side of the pool and added safety features, these designs are a popular choice for families of all ages and are the perfect addition to our already impressive range. 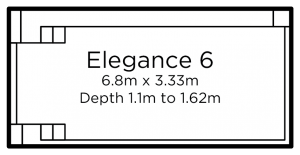 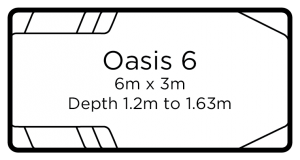 Sleek and sophisticated, the Oasis Range has been designed for more narrow spaces without compromising on features and style. 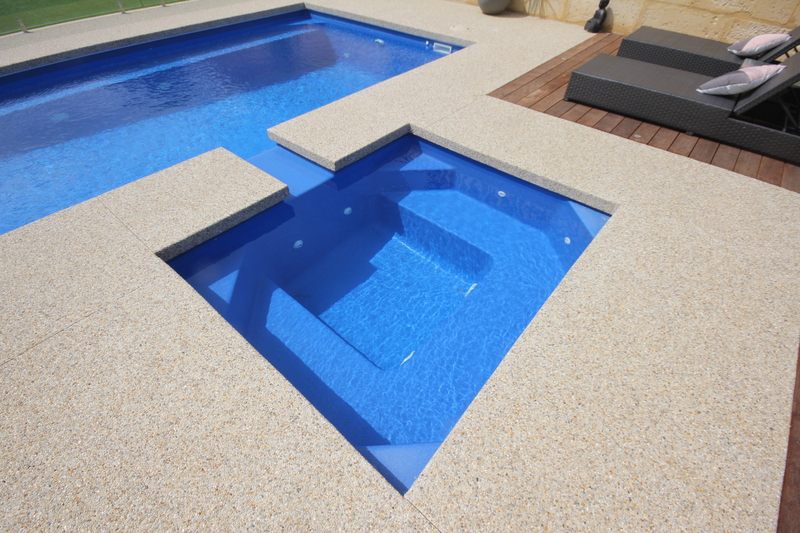 Unobtrusive side-entry steps maximise the swimming area, while the twin deep end swim-outs provide handy entry and exit points or the perfect spot to sit and relax. 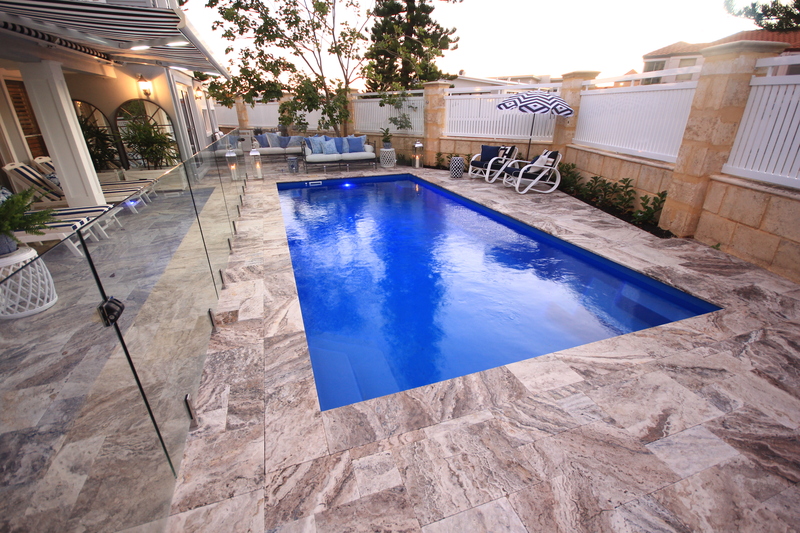 With our stunning range of colours, our Oasis range can add style to your home, providing an entertainers delight. While compact in size to fit most backyards, this range is perfect for recreation, exercise and relaxation. 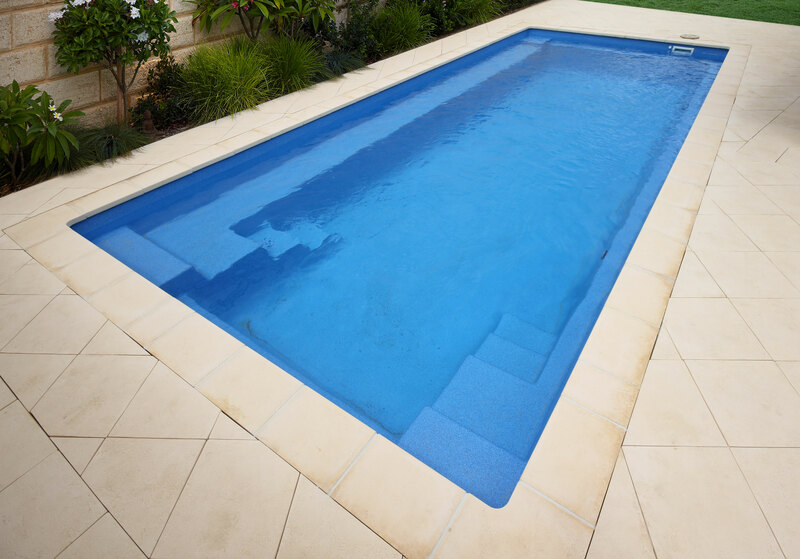 Side-entry steps allow for an uninterrupted swimming length and powerful swim jets are an optional extra for those looking for a full body workout. 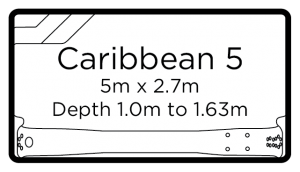 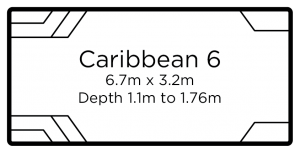 A bench seat stretching the entire length of the Caribbean 5 provides the perfect seat to relax on a hot summer’s day and at either end of this bench you will find hydrotherapy seats with spa jets for that extra touch of relaxation. 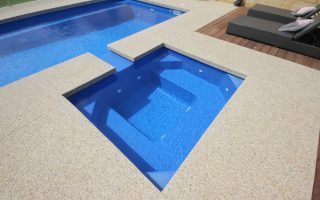 This series of geometric designs replicate one of the most sought-after shapes in concrete pools. 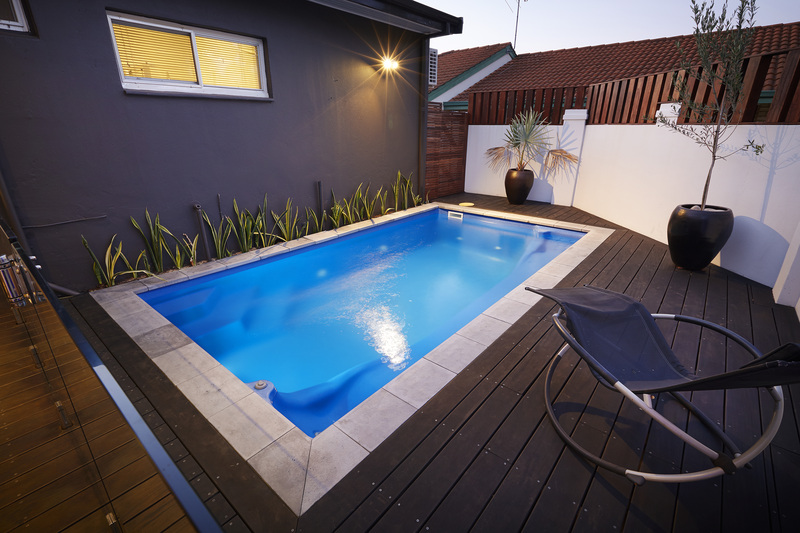 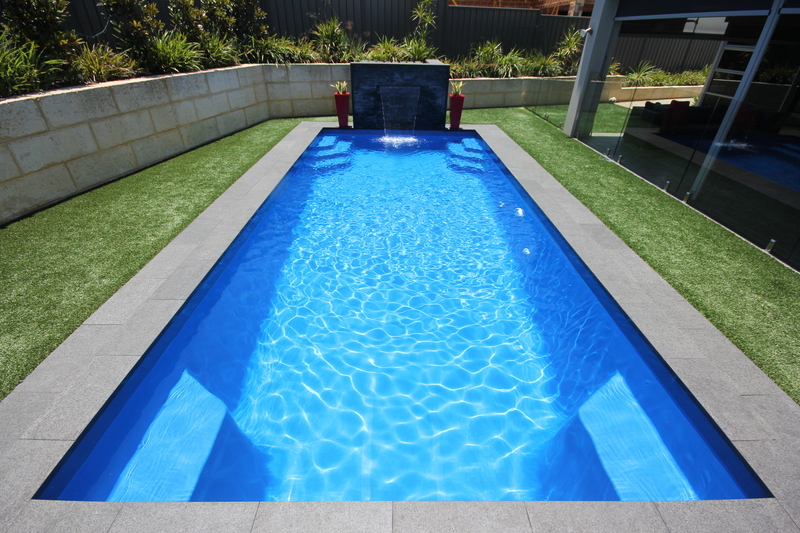 This style is available in three different sizes, depending on the shape of your backyard, and features an extended bench seat, side entry steps, corner swim out and a generous swim space – perfect for the keen swimmer, or for those who prefer to sit back, relax and cool off! 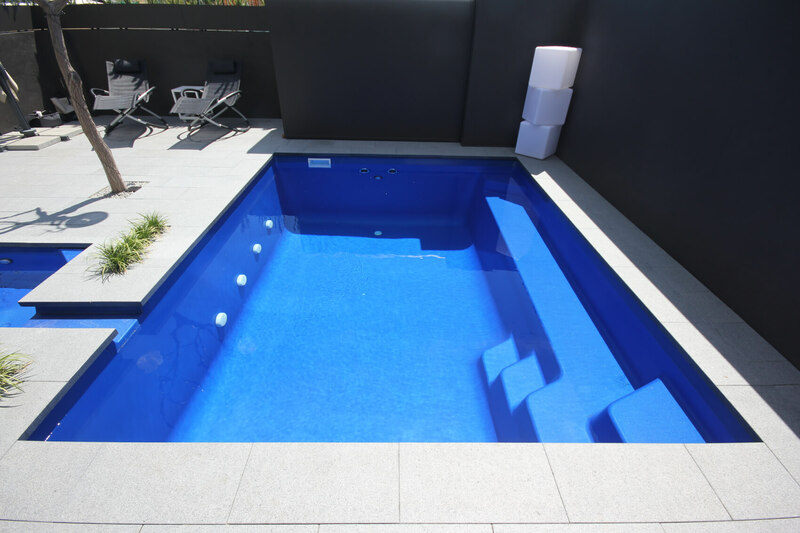 Sleek, stylish and cleverly designed, these contemporary models are perfect for serious lap swimmers or those who simply want more pool space to enjoy. 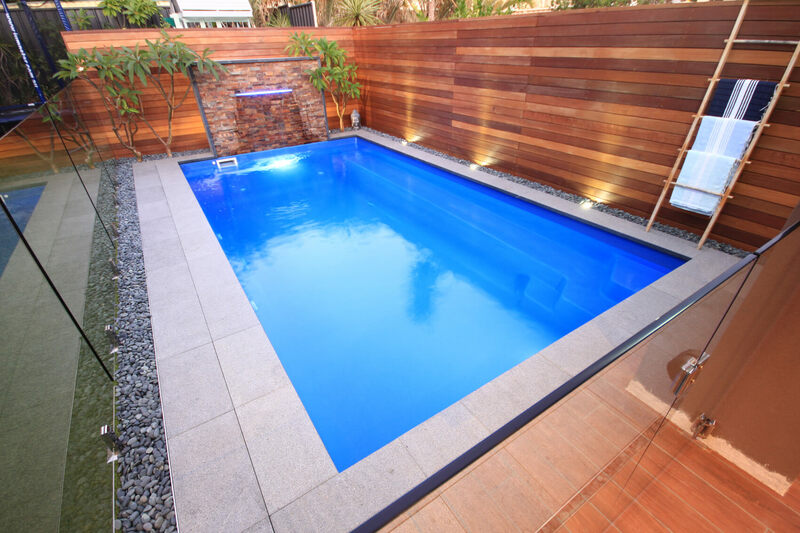 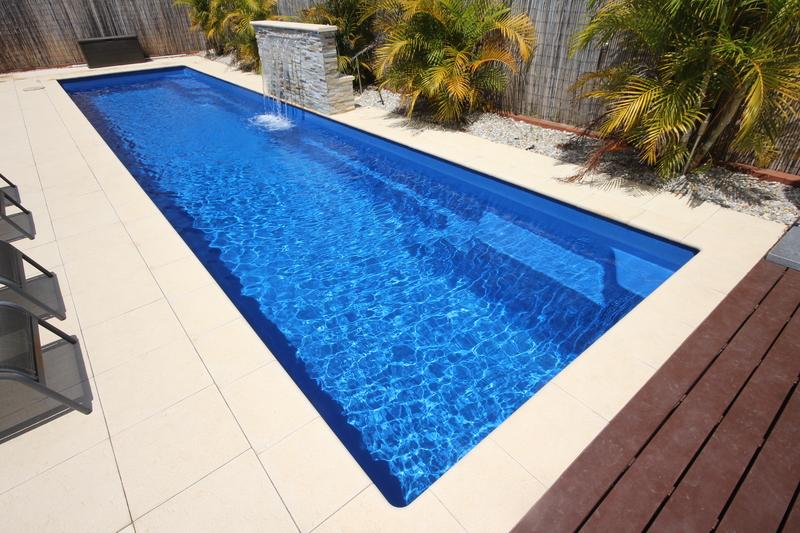 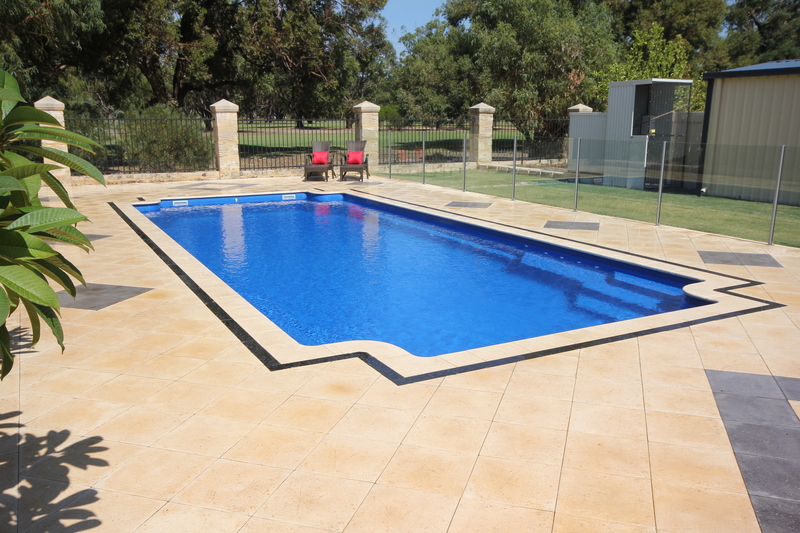 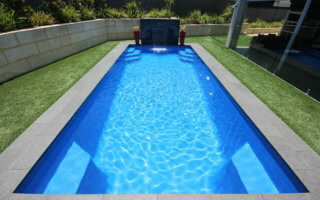 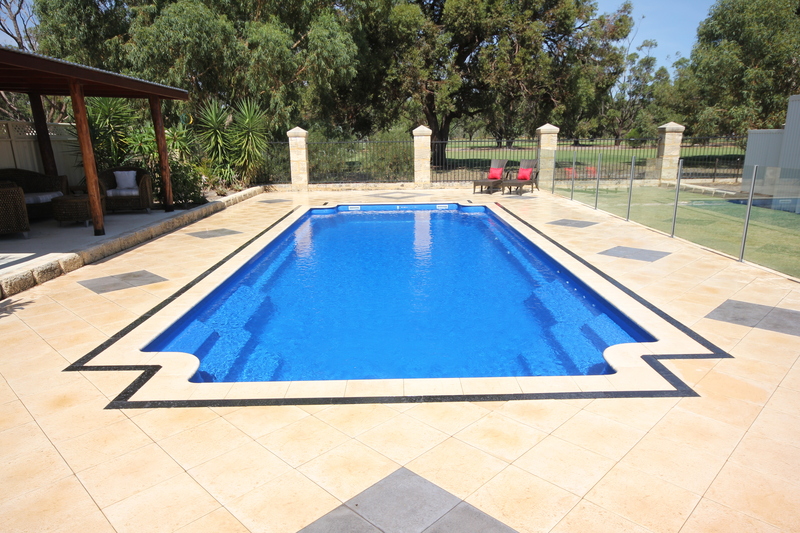 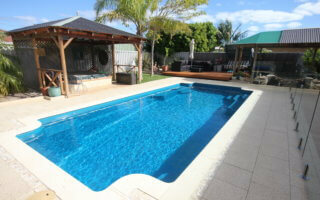 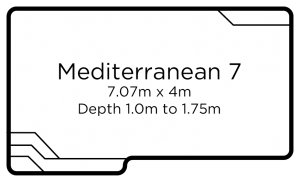 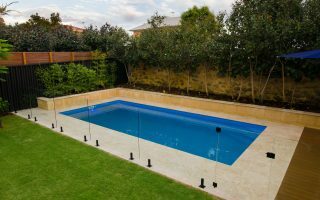 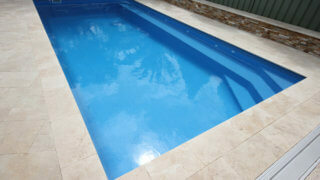 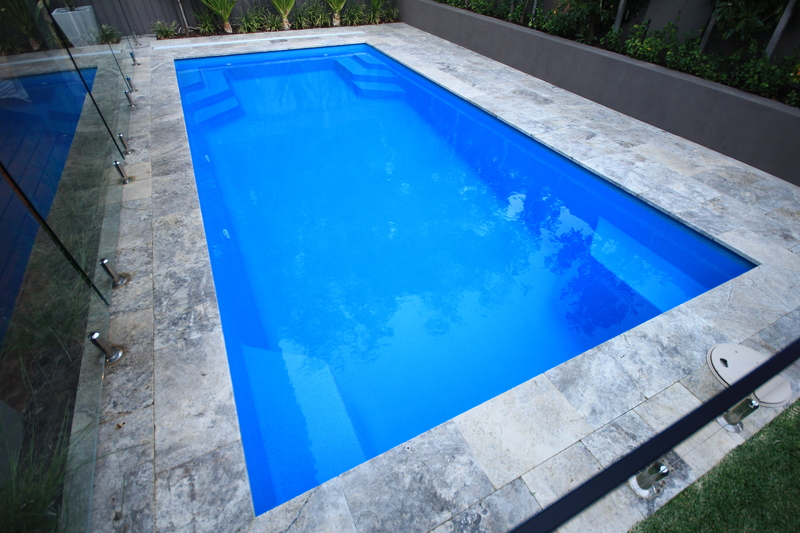 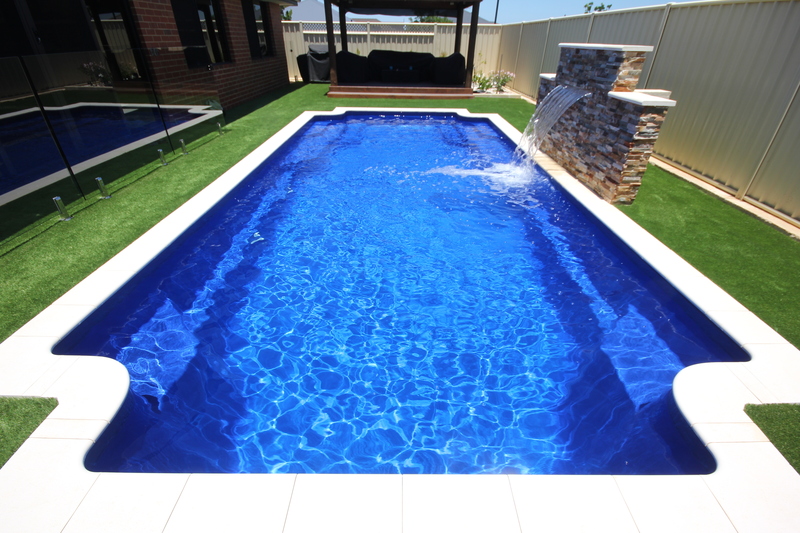 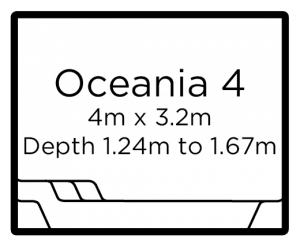 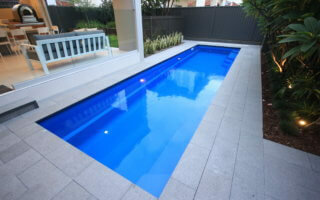 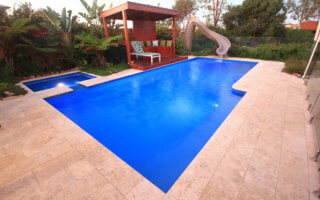 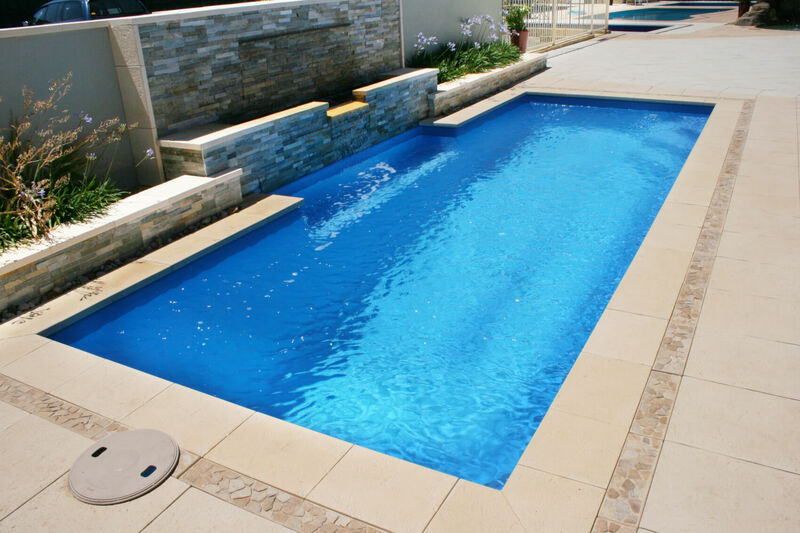 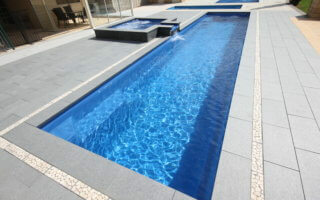 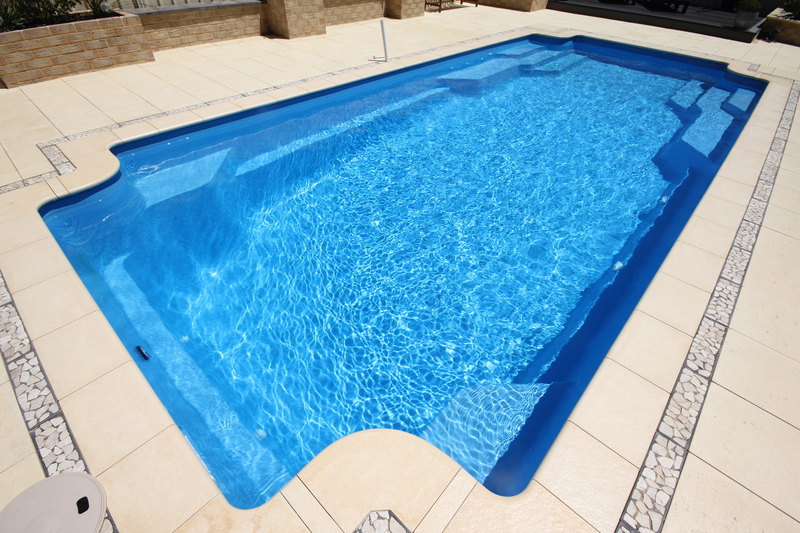 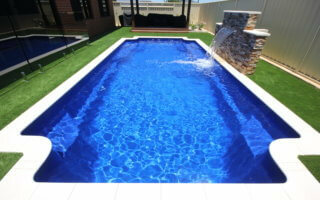 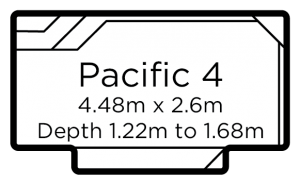 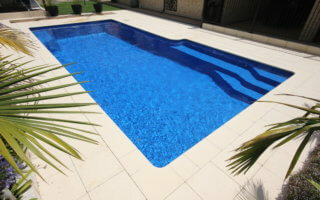 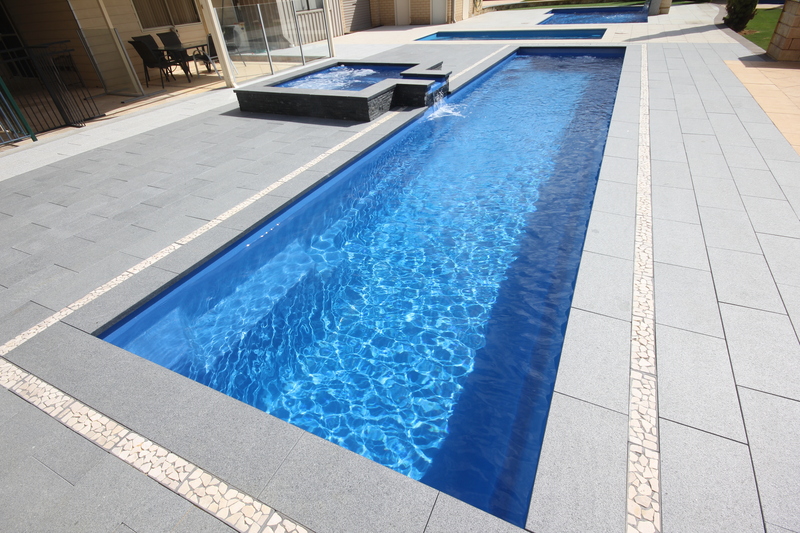 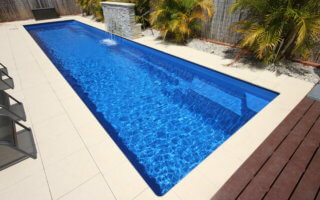 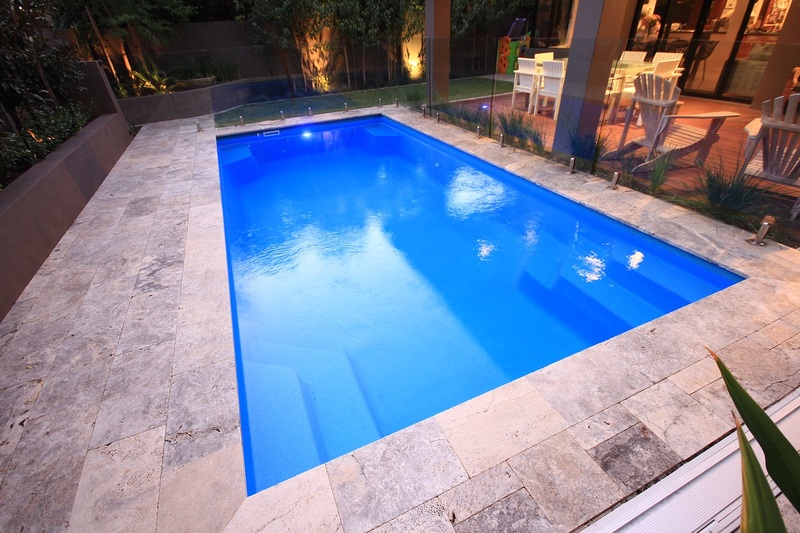 These pools are ideal for exercise with the constant depth of 1.4m allowing for tumble turns at each end. 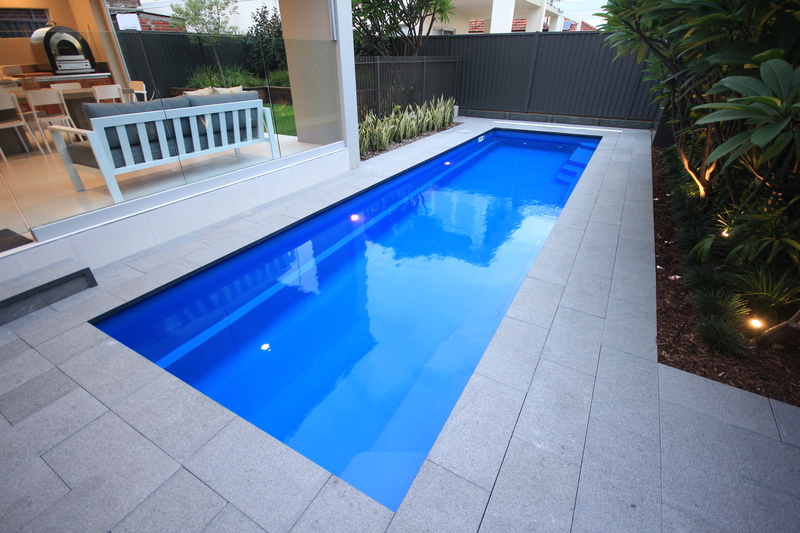 Side entry steps at both ends on one side give uninterrupted swimming length and are the perfect spot to sit and relax. 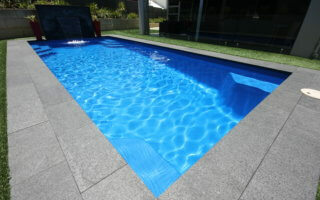 Safety ledges on both sides of the pool provide a good rest point along the way, especially for small children. 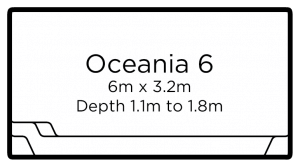 The Tropicana range offer a wide, uninterrupted swimming area that is great for recreational activities to keep the whole family entertained! 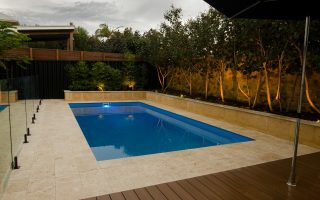 Cleverly designed, these pools also incorporate plenty of areas to sit back and relax including two corner sit-outs and wide side-entry steps that offer the perfect place to rest. 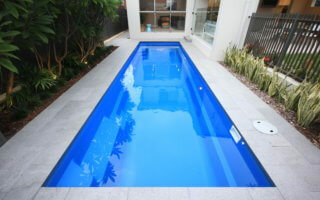 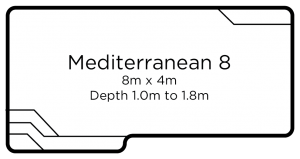 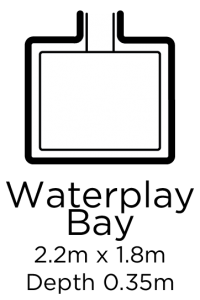 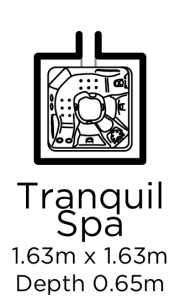 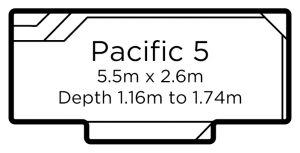 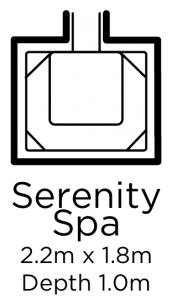 They also feature a safety ledge that offers a sturdy profile to stand upon that is ideal for children learning to swim. 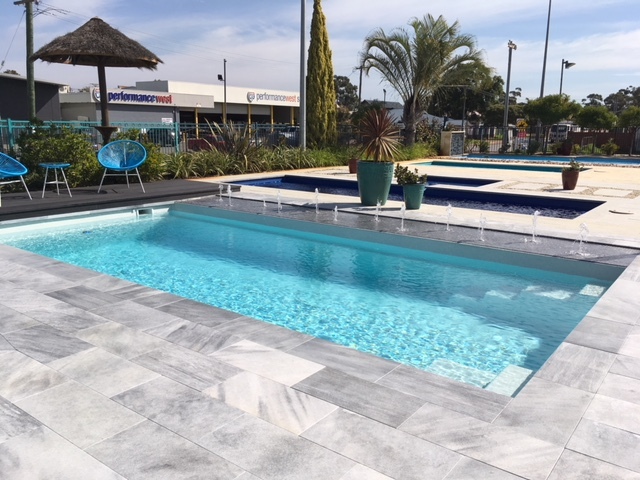 Choose the perfect complement to your new pool from our Paddle Pool & Spa range and create the ultimate outdoor entertaining area.